Winning designs that have been involved in the Lexus Design Awards programme will now be available to the public. Lexus is taking its ‘celebration of emerging talent’ a step further by putting these soon-to-be-products in the Crafted for Lexus range where they will be purchasable in selected stores. This allows the designer’s creative works to be appreciated, not just by Lexus, but by the public as well. So, what are these winning designs? Firstly, we have the Inaho lighting, whose namesake taps into the Japanese roots of Lexus which translates as ‘ear of rice’. It bears a close resemblance to that of a rice plant and has the ability to sway when people walk past it, mimicking the movement of rice plants in a field on a windy day. 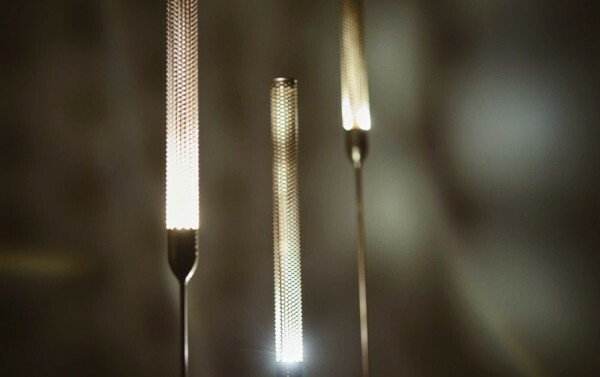 When the Inaho light is on, the imagination behind its design becomes less mysterious; it gives off a natural sunlight appearance within a room, something that is woefully missed during the night time. It is an evocation of peace and tranquillity; it doesn’t need to be big and colourful to be appreciated. Its simple stem-like structure and warm glow of light make the Inaho lighting a product worthy in any home. Created by Yoshimoto and Yoshinaka Ono, the Inaho certainly captures Lexus’ values of ‘artisan craftsmanship and design innovation’ as described by Spiros Fotinos – the Lexus Head of Global Branding and Marketing. Besides the name, this product is very innovative. Developed by Masafumi Ishikawa, the World Clock can show the local time of twelve cities around the world. Its minimalist design and non-flashy appearance is ideal in any household setting. 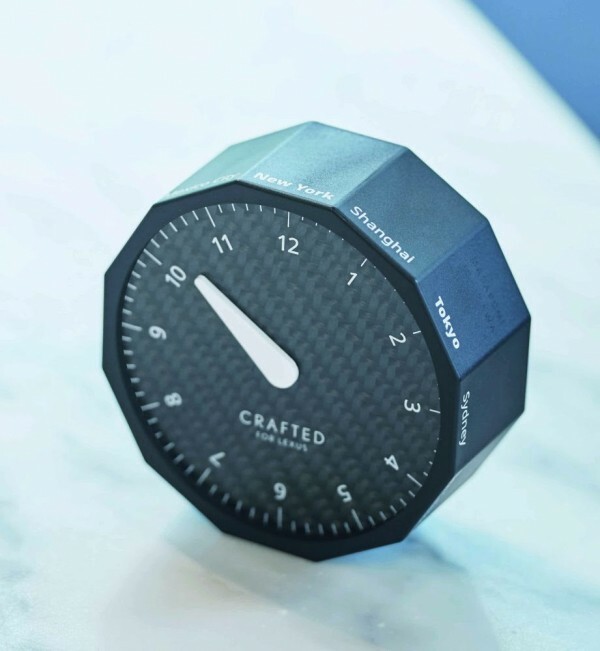 Interestingly, the face of the clock is made from hand-woven carbon fibre panel as used on Lexus’ performance cars. The clock may not be turning heads on a busy motorway, but it might be the small touch that caught the Lexus’ brand’s eye by using its own design formula, reinvented for a new purpose. Whether you’re thinking of travelling to London or to Tokyo, the World Clock will be a great little companion for anyone. Sure, you can get the time up on your phone and do it the easy way, but why not be hip, stylish and a little different by using the World Clock? Just rotate the clock to the desired time in the world, and there you go. Dean Frankling. Dean is a student at the University of Surrey studying English Literature with Film Studies. He is interested in his ancestral heritage, history, films, writing, and has a passion for food.